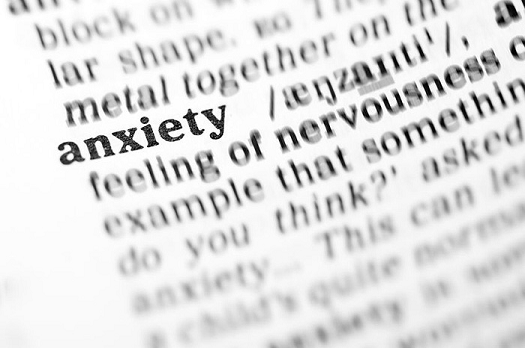 Many people worldwide suffer from extreme anxiety conditions. In fact, anxiety disorders are among the known psychological conditions that commonly trigger individuals who are experiencing intense pressure and stress. In most cases, anxiety disorders are oftentimes mistaken as mere stress and pressure that do not necessarily need to be concerned about. There are even times when some individuals only become aware that they have extreme anxiety conditions only after they have consulted a physician or counselor. Basically, a person who is experiencing intense feeling of anxiety and worry for more than six months is most likely suffering from a severe type of anxiety disorder. Cases of anxiety that involve excessive worrying and stress from relationships, work, environment, or situations are also sure indicators of anxiety disorders. With this, doctors and health practitioners always recommend immediate recommendations whenever anxiety becomes extreme to the point that it is already affecting a person’s daily activities and productivity. Fortunately for those who are suffering from anxiety disorders, these forms of health condition are highly treatable. After thorough examinations and the confirmation that a patient is indeed suffering from anxiety disorder, doctors and health practitioners will then recommend the treatments that will best aid the patient’s condition. These treatments may be in the form of medication, therapy, and natural or herbal remedy. Apart from the three common treatments recommended by physicians, there are other forms of treatments that people can try as means to stop anxiety attacks. Treating anxiety consists of different forms and does not necessarily require one to just take medications and go through expensive treatments. Eating right is probably one of the simplest and the most rewarding ways to cope and manage anxiety attacks. This not only keeps the body fit and healthy, but it also helps reduce and control stress. Since caffeine is known to trigger tension and anxiety, avoiding too much coffee or soda consumption can really decrease one’s susceptibility to experience anxiety, sudden panic attacks, as well as mood swings. Support from family and friends is a very important aid for those who are experiencing extreme anxiety conditions. Spending time with people who are emotionally supportive and understanding can really help a person from coping and dealing with anxiety attacks. It is said that the more a person seeks comfort from trusting family and friends, the lesser chances of experiencing sudden anxiety and extreme worrying attacks. Patients diagnosed with anxiety disorder are oftentimes advised by doctors or health practitioners to try practicing different types of relaxing techniques such as Pilates, running, controlled breathing, and guided imagery. These modes of relaxation really help in reducing stress and anxiety. Regular meditations is also a good way of reducing one’s susceptibility to experience extreme anxiety and stress. Many people suffering from anxiety disorders prefer to adapt meditation methods like walking meditation and transcendental meditation in their everyday activities. Ryan Light is an athlete, blogger, and coach who has inspired people around the world with his open and honest discussion of panic, anxiety, and Obsessive Compulsive Disorder (OCD). Having suffered with OCD throughout his life, he first got into running after trying everything else. From diets to conventional medicines, nothing seemed to be any help. He had hit rock bottom when he decided to give running a try. On the verge of suicide, he found himself on a new adventure. Setting goals for himself and escaping from the struggle that had become his everyday life, he dove headlong into the sport and never looked back. After seven years, Ryan has run more than forty half marathons, three full marathons, and many 5Ks and 10Ks. He finds deep joy in running, and along the way, he has made some lifelong friends. Every time he puts on his running shoes, he knows that he is having fun but also that he is fighting a battle. Passionate about both aspects of his sport, he seeks to encourage others to find their own energy in life just as he has.